With the holidays now upon us, it’s more important than ever to be driving traffic to your e-commerce website. Many online businesses earn as much as half of their annual revenue during this time of the year, but this only occurs when the websites are properly optimized via SEO, when webmasters are pinging search engines with desirable goods and when there are multiple other ways for individuals to stumble across your website. Fortunately for e-commerce business owners, there are plenty of different routes to drive traffic to their sites this holiday season. We’ll discuss a few of these important methods below, just in case you are lost on how to maximize your business potential. If you’ve been in the business of e-commerce for some time, then you likely have a budding email subscription list from your customers and user accounts that have been created. Why not tap into the potential of this list this holiday season? Hopefully, you already are, but for those who have yet to utilize this trend, know that the power of email marketing is still very strong. Since all of the people on your list are those who have demonstrated prior interest in your store (and since email marketing is effectively free), there may be no better way to get a message out to a relevant audience for next to nothing in terms of cost. Speaking of those who have demonstrated prior interest, have you heard about remarketing? The concept of remarketing is simple: by tracking those who have already been to your website via cookies and other methods, you can show relevant ads through ad affiliate programs that will entice them to return. Many reports show that you can effectively double conversion rates among a given audience by using remarketing. Remarketing is also usually nominally cheaper than standard paid marketing methods, and effectively even more so (when you consider that many of these shoppers will only need a nudge in order to return to your website once again). Have you signed up for any of the numerous affiliate marketing programs available across the web? If not, it’s high time that you do so. Affiliate marketing works similarly to services like Google AdWords and Adsense, except that you will pay individual websites for displaying your content instead of search engines or advertising platforms. Your links are displayed in a relevant fashion to those sites’ visitors, and any time they are clicked on, you are charged. This can be a great way to network with like-minded websites and niches, and extract valuable traffic in the process. Affiliate marketing, remarketing and email marketing are but a few ways in which you can drive traffic to your e-commerce website this holiday season. Pinging search engines with quality content and products will also go a long way, as will paid advertising and social media. 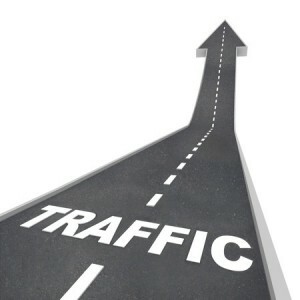 At the end of the day, the more ways in which you are appealing to various forms of traffic, the more traffic you’ll ultimately receive. Please act soon, however, as the busiest shopping days of the holiday season are upon us!